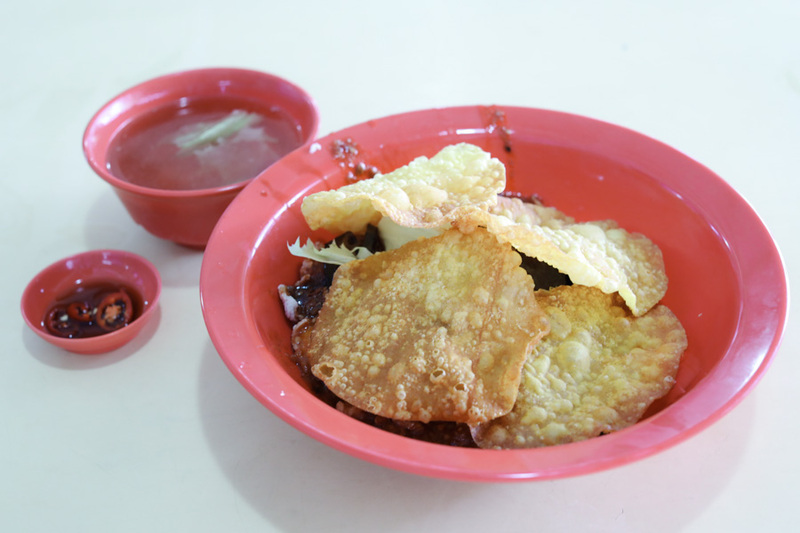 I feel it is a waste for food stalls when customers ending up commenting more on the service, rather than the food itself. 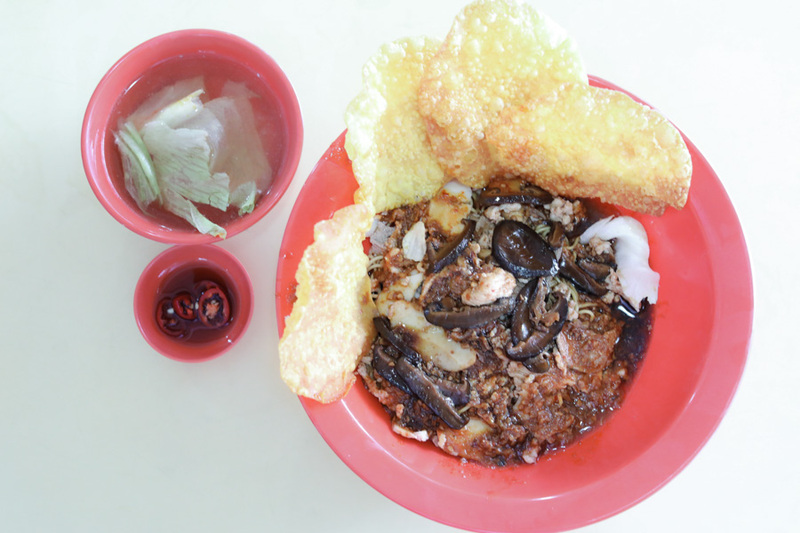 Such is the case of Hup Hup Minced Meat Noodle located at Ang Mo Kio Avenue 6 Food Centre. Reviews online ranged from ”1 star for service attitude”, “rude and arrogant”, “bad attitude”, to “extremely unpleasant”. 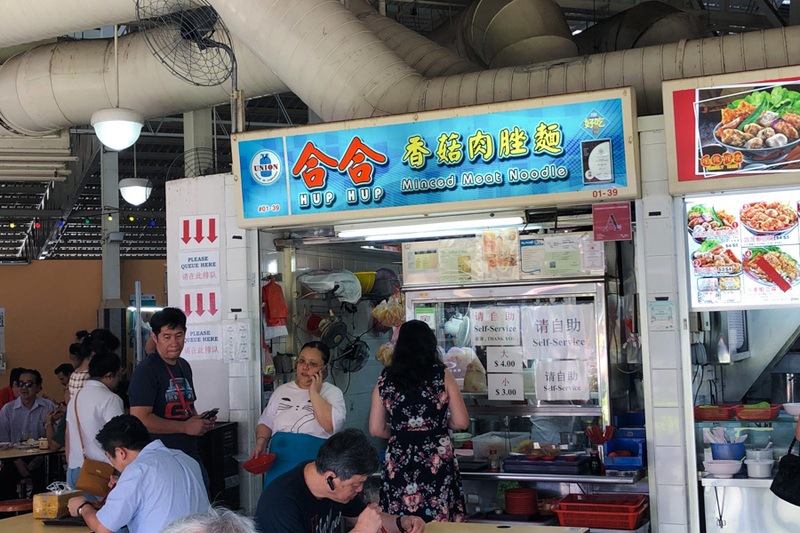 People I talked to have differing opinions: many feel that service IS a part of the dining experience – whether restaurant or hawker centre; but there are some who thinks we cannot expect too much from a $3 – $4 bowl. 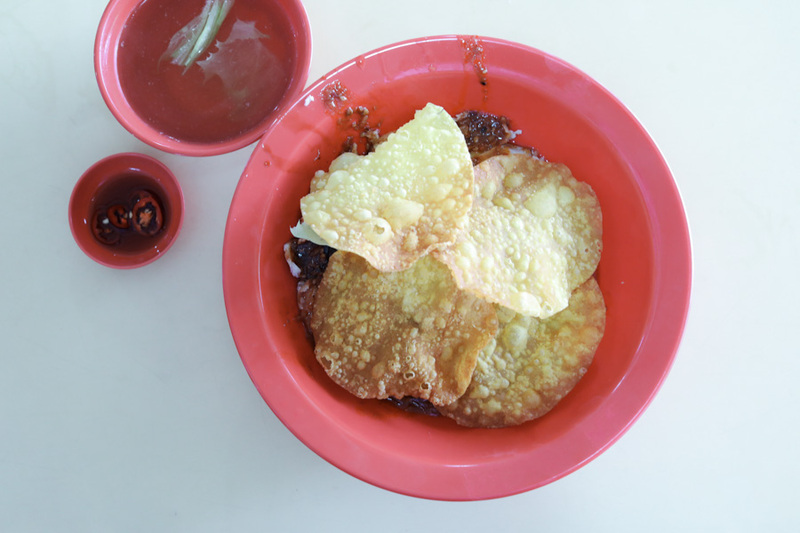 ”Hawker food still want Michelin standard, is it? 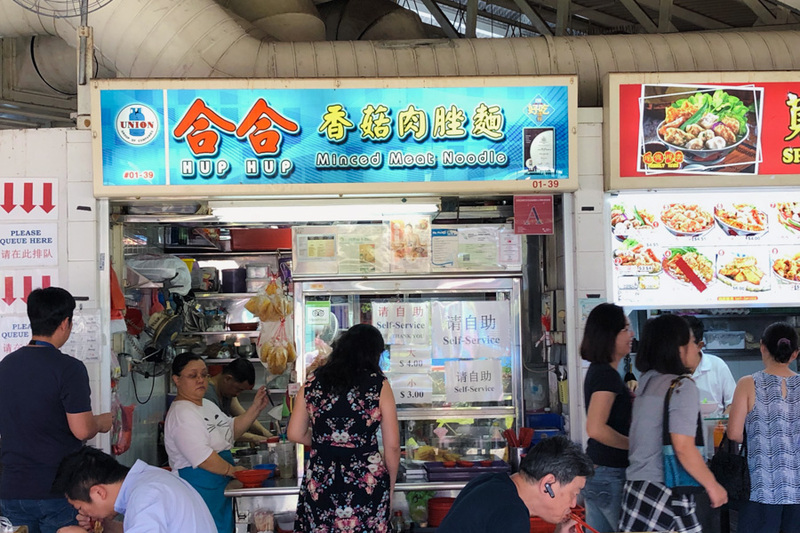 Talking about Michelin, this Bak Chor Mee stall DID get listed in the Singapore Michelin Guide under “Michelin Plate”. Which got me wondering – did the inspectors queue and experience this “service” as well? 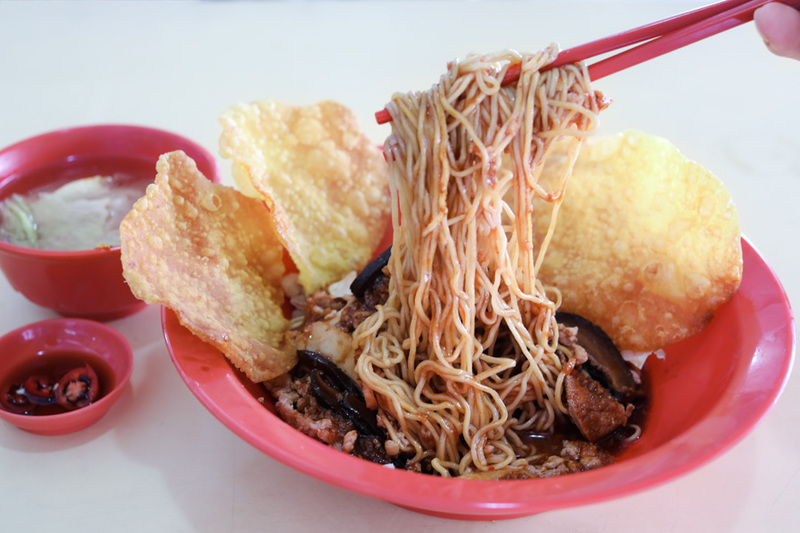 Hup Hup Minced Meat Noodle is known for its old-school Bak Chor Mee topped with round-shaped crackers. I combed through reviews, even those left in 2009, and found a disparity. It seemed that something happened along the way, and both food and service was not quite like in the past. Some of my readers told me that guys get the better treatment, but from my observation from customers in front and after me, the “service” seemed to be the same for everyone. So, do not take it too personally? I get it that hawkers may have varied ways of dealing with the stress and heat. 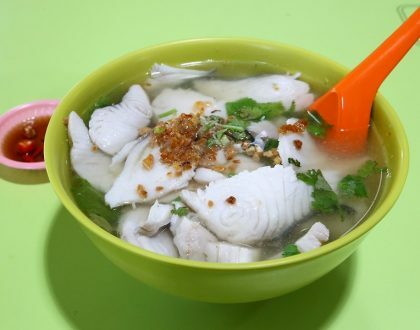 Some are more grumpy, straight-faced, or will snap if you order wrongly or not in the ‘correct’ procedure. This particular server just didn’t smile, did little talking and pointed instead (example to the chilli sign), left trays down (and removed mine) in the most nonchalant way. 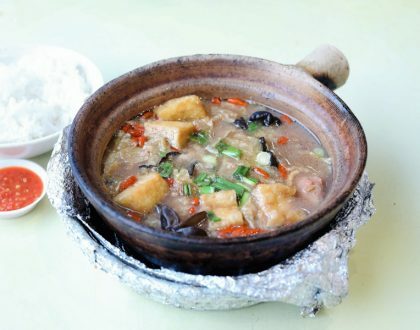 Order wrongly and get a “killer stare”. The modern consumer probably cannot tolerate this very much. The non-verbals in this case, can be interpreted as “with attitude”. All right, back to the food. 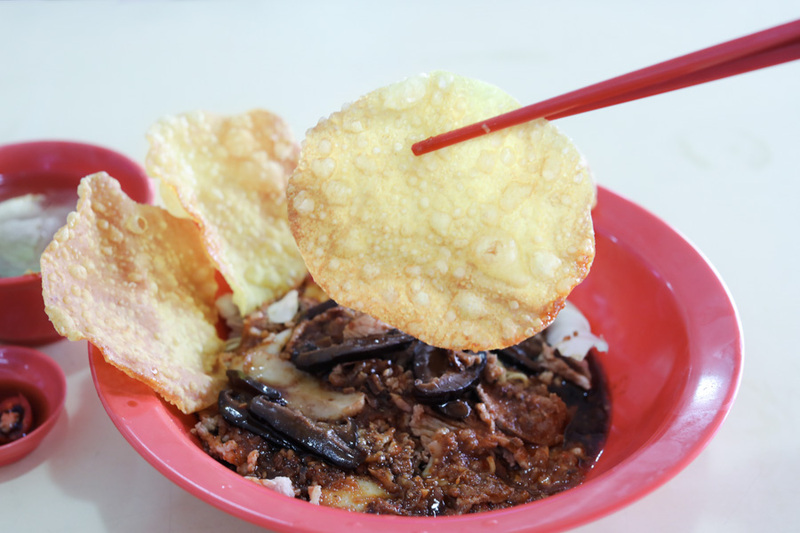 If you are expecting the usual Bak Chor Mee with vinegar and all that, this is not quite the norm. There was that strong ketchup taste beneath, which reminded me of noodles I had when I was still schooling. For purists who love your vinegar, then you are likely to frown upon this. Noodles were slightly starchier and thicker than the usual mee kia, but that probably worked well with the sauces. 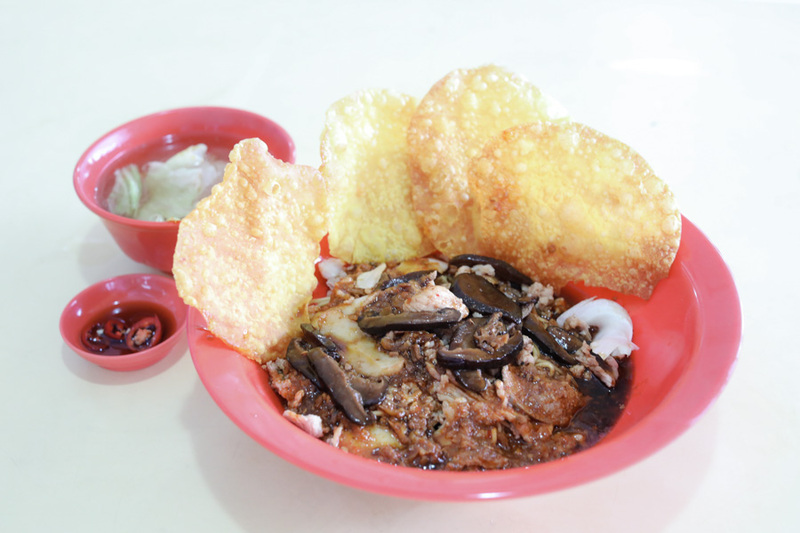 The savoury braised sliced mushrooms and four pieces of round crackers which added some crisp (somewhat like wanton skin) were the highlight. 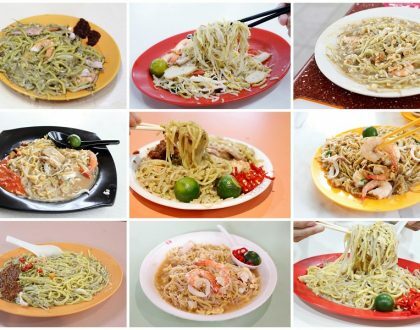 A word of caution: there is just mee kia and mee pok here, so DON’T ask for bee hoon, kway teow and the etc. If you do intend to head down to try, I guess just SMILE and order politely. No harm, right? Sadly the standard had dropped a lot when it was passed down to current owners from their father. Their father standard was at a level than is so much higher and better.